Want to get your original pattern idea in front of a new audience of enthusiastic crocheters? 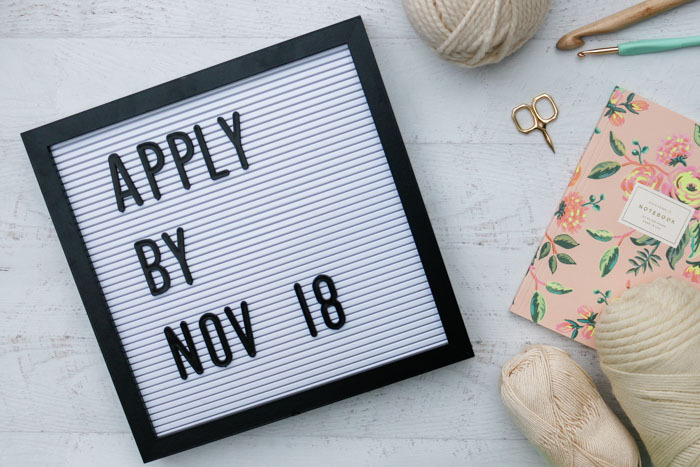 Apply by November 18, 2018 to guest post right here on Make & Do Crew! UPDATE: Applications for Spring 2019 are now closed. Please subscribe to our email newsletters if you’d like to stay in the loop about further opportunities! We’ve got two exciting announcements I’ve been itching to tell you for MONTHS! We’re Accepting Guest Designer Patterns for Spring 2019! Are you a crochet pattern designer? A blogger? Maybe aspire to do both? 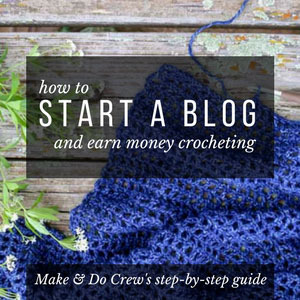 For the first time ever, we’re opening Make & Do Crew to guest crochet pattern submissions and I’d be thrilled to share your creative take on crochet with the M&DC readers. Make and Do Crew has grown to exceed my wildest expectations in the last three years and I’m so excited at this new way to welcome you into the inner folds of the the Crew. Read on below to learn how you can apply to be a guest designer! But first, why are we doing this? I’m pregnant! My husband, two older girls and I expecting our new baby boy in March 2019! This will be the first pregnancy that I’ve navigated as a full-time crochet blogger. While I have no playbook on any of this blogging stuff (and definitely not in how to parent three kids or raise a BOY! ), it is very important to me that Make & Do Crew remains a vibrant creative source of inspiration for crocheters while I’m recovering from birth and getting to know our new little guy. That’s where you come in! 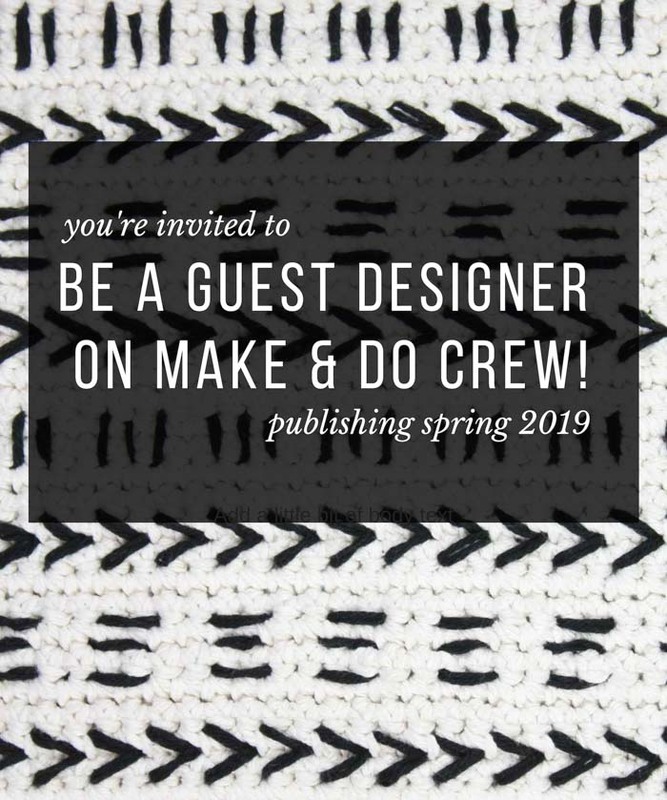 The application to be a guest designer on Make & Do Crew is open through November 18, 2018. (Patterns are due February 1, 2019.) Get the full scoop and apply below! 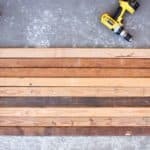 We’re so excited about your interest in guest posting on MakeAndDoCrew.com. You have your own unique flavor of cro-jo (crochet mojo) and we want the Crew to get to know you through sharing a pattern design! • Creative makers with strong pattern writing skills and an ability to deliver beautiful, thoughtful photos. From you, we’ll need a written blog post introducing your pattern, the actual written pattern and 5-10 photos showing the finished project and any tricky steps along the way. You do NOT need to have a massive online following to apply! • Modern, on-trend and approachable crochet designs focused on wearable garments, accessories and homewares. Beginner to advanced-beginner patterns with clearly photographed tutorials are always well-loved by the Crew. 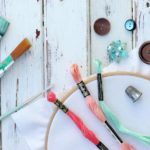 If you’d like more insight into what we like to share here on the blog, poke around the crochet pattern archives and think about how to bring your own voice and aesthetic to what we already know works here. • Patterns will publish March-June, 2019, so consider the spring and approaching summer season in the US when brainstorming designs. • The Make & Do Crew audience is an engaged group of crochet-lovers and we know they’ll love you too. With over 386,000 social media followers and 95,000 email subscribers, your pattern will be seen by a new audience of enthusiastic crocheters. Your guest blog post will include and introduction and closing that discusses you as the designer and links to your online home (blog/Etsy store, etc) and one social profile. Social posts will tag you and celebrate you as the designer. We want the Crew to get to know you! • You retain the rights to sell the pattern in PDF form and license the pattern to yarn companies and print publications. Have other specific questions we didn’t answer here? Send a note to [email protected] and Jamie or I will get back to you asap. Thanks so much for your interest in applying! Thanks to everyone who applied to be a guest designer on Make & Do Crew. I appreciate you sharing your creativity with us. We’ll get back to you by the week of December 7th, 2018 to let you know who we’ll have space for during my maternity leave. Please subscribe to our email newsletters if you’d like to stay in the loop about further opportunities! Want to Know about My Blogging Shortcomings and Mistakes? Hey Jessica, I’m so excited about this! I can’t wait to apply! Awww, how sweet and fun. A boy! He’s going to be spoiled and loved on so much by your older girls, I’m sure. Congrats to your whole family. I’m so happy for you. Hi Jess! I don’t design wearables, I am mostly focused on amigurumi, but I just wanted to pop up and say Congratulations!!!!! As a mom of 3 (2 boys and a girl) I want to tell you that boys are amazing in their own special way! Cheers! I tried to post earlier but had a glitch. Anyway, as far as name for the new guy, maybe, Colton, Seth, Chase or Caleb. 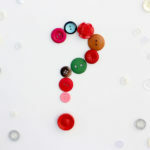 I won’t be applying for the patterns blog as I don’t keep track. I just do the math and crochet as I go. Everything is meant to be one of a kind for gifts, myself or charity. Hi Jess! I am so happy for you and your family!! What a wonderful gift!! I do not even know how to begin to create a pattern but I just wanted to say congratulations and thank you for the emails and patterns . I am still trying to get the hang of crocheting. I will keep trying , I have learned a lot with your patterns and tutorials . Take care of you!! Put your feet up and crochet!!! Congratulations!! I lovyour site. You make beautiful patterns. I love getting patterns from you. Enjoy your time off.v I think it will be so enjoyable for you. I look forward to seeing the new baby. What have you crochet him? I’m looking forward to the time off with him as well. I actually haven’t made him a thing yet–I just realized that the other day! I gotta get on that! Three boys…. like me !! Fantastic !! Congratulations ! Congratulations !! I think Lionel would be a good name..
Oh Jess, I’m so very happy for you and your hubby and the “big sisters”……I was having some RA achy, tired, silently whining to myself moments before I read your news and I believe it perked me right up! I’ll hope and pray that all goes well for you….which it will – I simply won’t have it any other way lol! I know I speak for a huge bunch of women who want you to take extra good care of yourself and GET PLENTY OF REST!!!!!! Congratulations Jess and may your new son be a blessing to your family! I raised a son and have four grandsons….each one adds a unique and fun dimension to our family. Congratulations! I’ll be thinking of you as I’m also pregnant with #3, a boy, due at the end of February. I only wish I was ready to rock with a good pattern, but maybe you can do this again in the future. (#4 😉) Thanks for continuing to share your awesome blog! This third pregnancy feels so much harder than the other two! Has that been your experience too? Congratulation on your new addition. My daughter is also expecting. She loves the name Cobalt, yes like the color. Her husband says it does not go with there last name, so it is just a suggestion. Luv your designs. What a unique name. I like how strong it sounds. It sounds like a name, even though it does have another connotation with the color. Congratulations on your upcoming grand baby! Congrats on your news! A snuggly baby boy–so much fun! Thanks for all the yarny inspiration, now go have a cookie and a nap, we have so much to look forward to this spring! Congratulations to you and your family. Babies are so exciting. I have always luke the names Victor and Russel they sound strong to me. Hope you like it too. Thank you so much for the name ideas, Sherig. I like strong names too. It’s funny how I’ve never given much thought to boys names. The pressure is on now! Here are a few suggestions for a name: Jeremy (makes me think of a play-boy), Alex (never met an Alex I haven’t liked), Mark or Marcus (one of my personal favourites), or Daniel (only know one, crushed on him in 1st grade), or Benjamin (all of the Bens I know are either really nice/smart or, in the case of my brother, loves to cuddle). Good luck! Congratulations on your soon to arrive baby boy. Boys are so much fun! I always thought I wanted girls but then I had 2 boys & found how much fun they are & how I’m so Blessed to have them. I’m so glad I had boys. My oldest is Timmy (Timothy) & my youngest is Anthony. My husband is Michael & my grandson is Jayden. Of course those are my favorite names. I’m not sure what your other children’s names are but some other boy names I love are Journey, Sage, River, Nicholas, Storm, Kai & Kamani. Just a few suggestions for you. Have a great day! Oohh, I really like Kai! I haven’t heard that name much. Thank you for plugging that one in my brain. I tried to post yesterday but I must not have followed through some how. Since I usually just do the math and the crochet as I go, I don’t write anything down. It’s all for gifts, myself or charities but all are one of a kind. I do however, have a few suggestions for names. Seth, Chase, Caleb or Collin. Boys are a lot of fun! We named ours Finley (Fin for short). It’s now my favorite boy name. Best to you! Congratulations I hope you enjoying a nice cozy afternoon with your family! All the very best to you. Thank you so much, Lynne! We’re having some really cozy weather and we’re all enjoying it! The name we always liked for a boy is Brody. Congrats on going to have a baby boy,i have a name in mind for him .you know nowadays any and almost any name is acceptable and good(maybe). Bit the first thing that entered my brain was Lyon Krew (wonder where that come from lol).I will be with you all as long as I can n ty. .
It’s so funny because the town I grew up in is named Lyons. That could be some pretty sweet meaning behind the name Lyon, couldn’t it? Thanks for your suggestions and happy crocheting! Just throwing out some names . . . . I always thought Kyle was underused , . . . . . easy for a child to learn to spell. Try NOT to use a name that ends with a s or c sound, try this in conjunction with your last name. It will not work for many. I like Timmons, can shorten to Tim. Can never go wrong with James. I was shocked when a baby I know was named Oscar, but I’m used to it now. He has a cousin named Ivan – which I don’t like. I know a sweet 7 year old named Carson. Jeffrey or Geoffrey seem underused. Jackson is SO overused. A friend’s nephew is Thomas, he ended up liking Thomas the Engine stuff – cute to let him tie that in. This same friend received a sheep from me for a house warming gift – he is named “Hank” – get it? The third birth is supposed to be so much easier than the first 2. Hopefully that will be the case for you. Thanks for your patterns!!! Haha, I would love if the third was easier than the first two. Thank you for all your name suggestions. Isn’t it funny how some names sound peculiar until you get to know the kiddo and then they just sort of become part of your “name world” and you accept them? 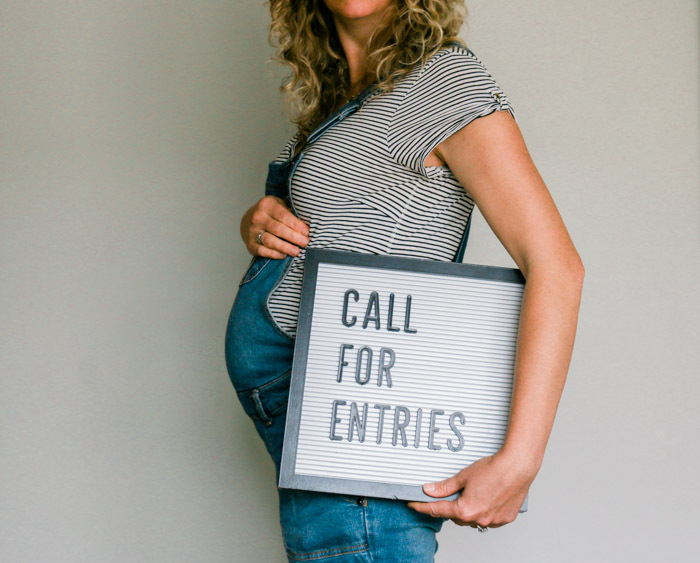 I honestly have no idea what this baby will be named, but I’m sure someone will think it’s a weird choice because that’s how all baby names go! Boys are great! Be prepared for non stop excitement. Mother of 2 boys and 1 girl and granma to 6 boys and 2 girls! Finn is one of my favorite too! How funny. I’m looking forward to seeing the ways this little boy is similar and different to my girls. Thanks for your name suggestions and kind note! I just wanted to thank you for posting this opportunity. I have been “just starting out” as a crochet design blog sine April of this year and always find a reason why I can’t make my wordpress blog public. Suffering from the jitters I guess or perfectionist tendency. Well, I still have a lot of work to do to get it the way I want it, maybe I will never get there, but it went live tonight. FINALLY!!! All thanks to this post. If nothing else, thank you for the “inspiration” I needed to take the plunge. And thank you for your designs and words of encouragement on your blog, they are a ray of sunshine. Congratulations BTW too :). Oh, Karen, that’s so awesome! I really understand the fear of making all of it real and putting yourself out there. I still feel that way every time I publish something or do an FB live or something. I think pushing through that fear has been one of the biggest ways M&DC has helped me grow. I hope you find the same with your new site!